First look at the upcoming caffeine fuelled anthology. 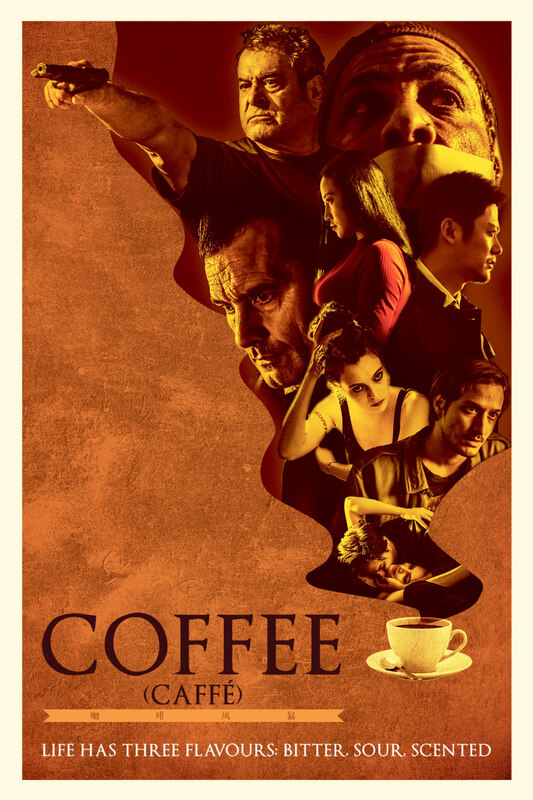 Writer-director Cristiano Bortone's latest, Coffee, offers three distinct stories from three separate countries, all revolving around the joy of a cup of Java. The film's global cast includes Miriam Dalmazio, Dario Aita, Tong Sheng Han, Yuqi Zhang, Qi Xi, Xiaodong Guo, Koen De Bouw, Arne De Tremerie, Hichem Yacoubi, and Charlotte de Bruyne. Coffee comes to VOD February 9th and DVD May 15th from Uncork'd Entertainment. The first official co-production between China and Italy, Coffee tells of three stories set in three different worlds, three destinies that intertwine expressing the uncertainty of our confused times. Belgium: A pawnshop owner has his precious coffee pot stolen during a violent street riot. He decides to seek revenge, only to become a victim. Italy: A passionate coffee sommelier is trying to make this a proper profession but his past is fighting him. China: A successful young manager marries the boss’s daughter and all seems perfect until his job requires him to move back to his birthplace.